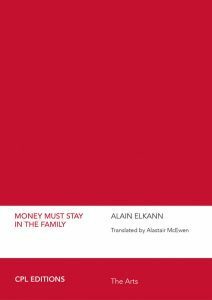 This Agreement sets forth the terms that apply to your use of the ALAIN ELKANN INTERVIEWS website (the “Site”), presently located at AlainElkannInterviews.com. 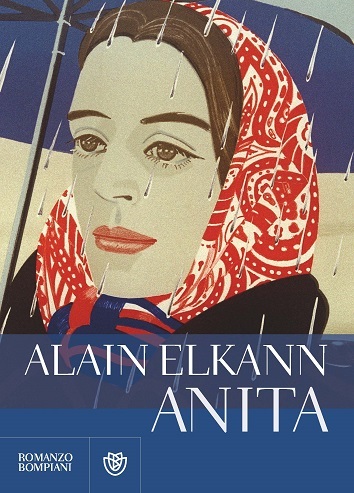 The Site is owned and operated by Alain Elkann and associates. Your use of the Site constitutes your acceptance of these terms. Ancillary Sites & Services. References in this Agreement to the Site will be deemed to include not just the AlainElkannInterviews.com website itself but also any and all ancillary websites or Internet services (such as any version of the Site maintained for mobile users) and any ancillary services, activities or materials that we may provide in connection with the Site. The terms of this Agreement will apply to the Site and all such ancillary items. Third-Party Links. The Site contain links to other websites, resources and advertisers. We are not responsible for the availability of these external sites, nor does we endorse or assume any responsibility for the content, information, advertising, products or other materials made available on or through such external sites. Under no circumstances will we be held responsible or liable, directly or indirectly, for any loss or damage caused or alleged to have been caused to a user in connection with the use of or reliance on any content, goods or services available on such external site. Any concerns regarding such content, goods or services must be directed to the administrator or webmaster of the external site in question. We reserve the right, in our sole discretion, to terminate links with any third parties or other websites that we deemsinappropriate or inconsistent with the Site. No Advertisements. Any future bulletin boards and chat rooms are for discussion and debate. You may not use them to post or transmit advertisements or commercial solicitations of any kind, except as may be expressly permitted by us. Subscription Information. All information provided by you to us in connection with your subscription must be accurate, complete and up to date at the time it is submitted. You may update your registration information from time to time in conformance with our standard procedures and policies for such updating. If your e-mail address is cancelled, becomes inactive or inaccessible for an extended period of time, we will have the right to cancel your subscription. The Site contains facts, views, opinions and statements of third parties, users and other organizations. Our site and subsidiaries does not represent or endorse the accuracy or reliability of any advice, opinion, statement or other information displayed or distributed through the Site. You acknowledge that any reliance upon any such advice, opinions, statement or other information shall be at your sole risk and you agree that our site, its parents, affiliates and subsidiaries will not be held responsible or liable, directly or indirectly, for any loss or damage caused or alleged to have been caused in any way whatsoever related to any advice, opinions, statements or other information displayed or distributed on the Site. You agree to defend, indemnify and hold harmless our site, its affiliates and their respective directors, officers, employees, representatives, agents and successors from and against all claims and expenses, including attorneys’ fees, arising out of the use by you of the Site and/or the Participatory Areas. The provisions of this Section 6 will survive any termination of this Agreement. All trademarks appearing on the Site are the property of their respective owners, including, in some instances, of our site.